Cement stocks are trading in a narrow range over the last few quarters mainly on account of concerns over Demand – Supply mismatch. However in this report, we focus on the three stocks that offer potential upside in terms of their valuations despite current concerns over the negative industrial scenario. As on today, these companies are in better financial state as compared to the previous down cycle. Even though having same profitability and return ratios, these companies are trading at almost 50-60% discount to peers making them attractive in current industrial scenario. 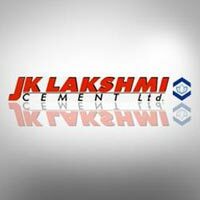 Stock market analyst Shardul Kulkarni of Angel Broking has maintained 'buy' rating on JK Lakshmi Cement Ltd stock with target of Rs 70. According to analyst, the investors can buy the stock stop loss of Rs 63. The stock of the company, on July 01, closed at Rs 67.10 on the Bombay Stock Exchange (BSE). The share price has seen a 52-week high of Rs 84.85 and a low of Rs 51.50 on BSE.